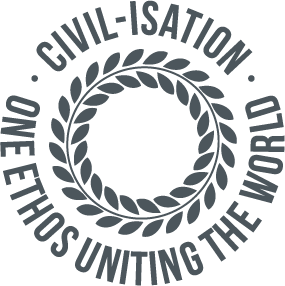 Civil-isation - Will it make a difference? How can giving universal respect really make a difference? 'Universal respect' does not imply indifference to wrong-doing or to the law, in the same way that a mature parent can respect a child regardless of its wrong-doing. In other words, we're not called to admire everyone but to respect their human rights. As with love, genuine respect is powerfully infectious and restorative. Providing sufficient numbers have the courage to commit to respecting all, real change can occur. 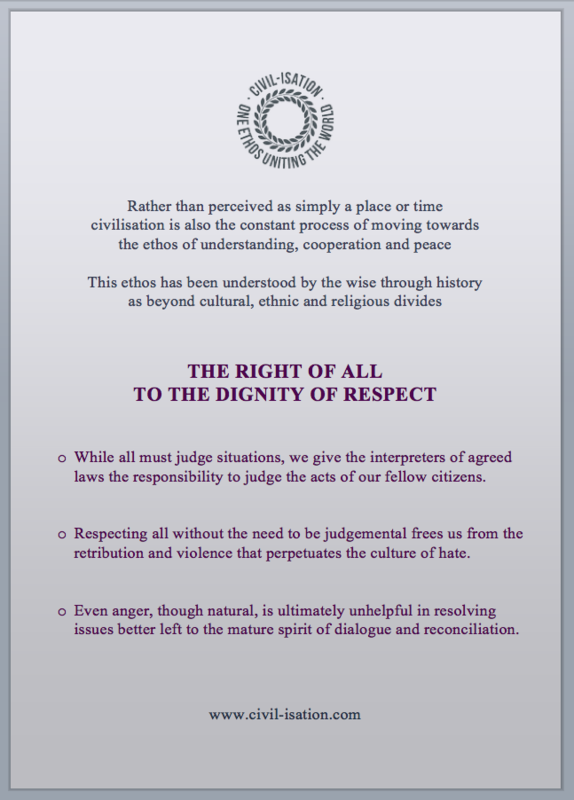 As is fundamental to democracy, this ideal requires our participation towards creating a meaningful consensus. "It is through cooperation, rather than conflict, that your greatest successes will be derived."